A rustic style kitchen may not suit all personalities and personas, but this Ideabook will showcase 7 fantastic rustic kitchen ideas to make any modern minimalist lover consider a gorgeous traditional design in their kitchen instead. Each of these kitchens has unique design features, elegant charm and detail as well as contrasting elements that display just how perfectly a kitchen design like this will fit into your modern home. Rustic styled kitchens often celebrate the natural elements that are incorporated into the design, whether it be wood or stone, neutral colours or a perfect combination of simple design and exposed brick walls, a rustic style kitchen is a warm, welcoming and a friendly option for a kitchen design. This kitchen design has attractive colour and chic style that adds to its unique charm and detail. The bright colours, textures and design is reminiscent of an old-fashioned rustic kitchen, where décor was daring and unconventional. Now how about that wooden dining table and stone detail on the walls? It definitely adds an authentic touch. 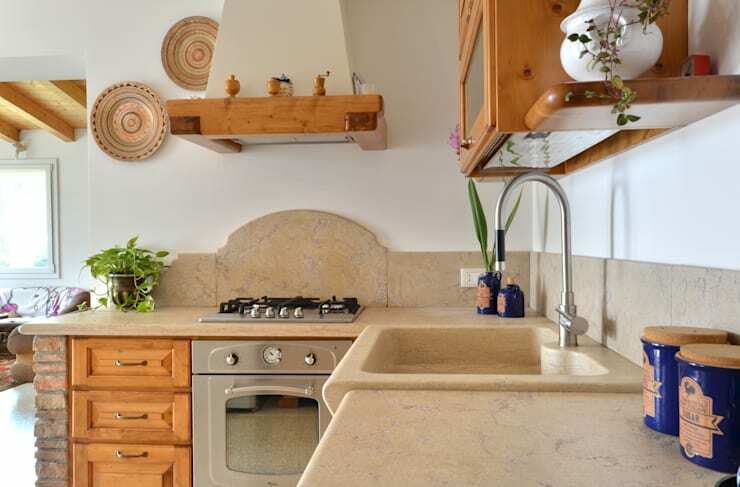 When considering a rustic kitchen design for your modern home, it is imperative to consider the details, this means everything from the cabinets to the door handles, choice of countertops and even the design of the stove, tap, sink as well as other fixtures and fittings. 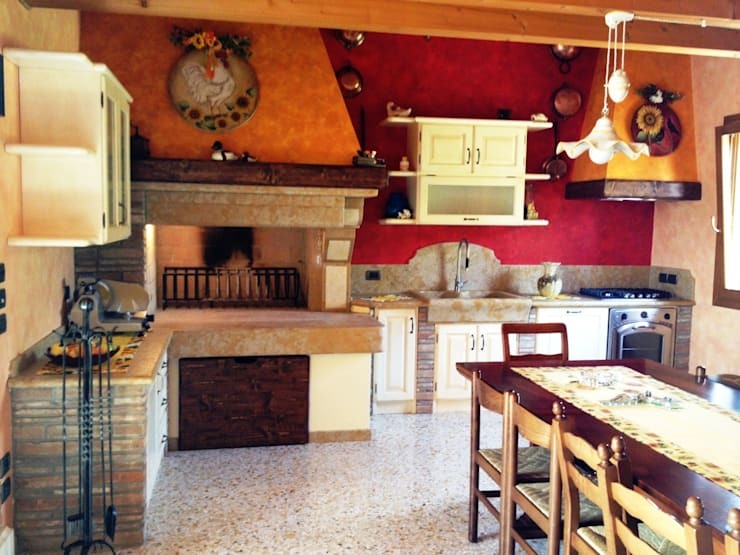 A spacious rustic kitchen is the perfect setting when cooking for a large family. The traditional way of cooking meant that family members often cooked together and enjoyed each other’s company as well. 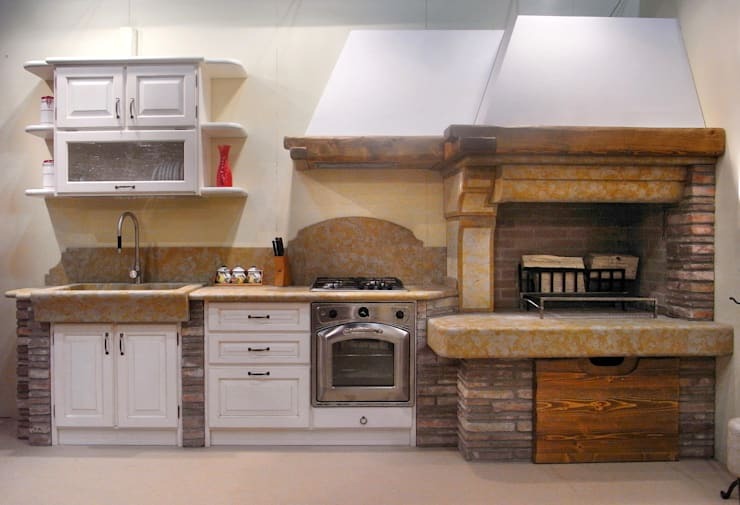 This kitchen style recreates that family values kitchen design that is no doubt grand and gorgeous. Although the rustic kitchen has its own attractive design element, incorporating art and artistic pieces into the kitchen design is a fantastic way to making your kitchen warm, cosy and personalised. 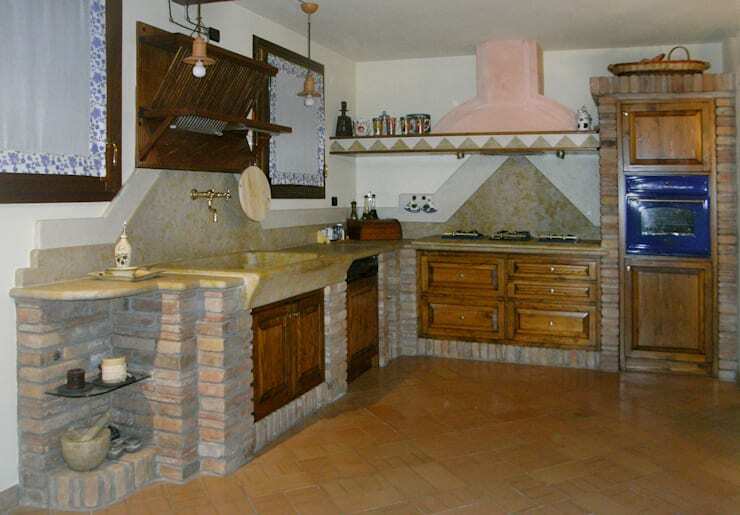 How about using aspects that contrast, such as this bright blue floor in a rustic kitchen? 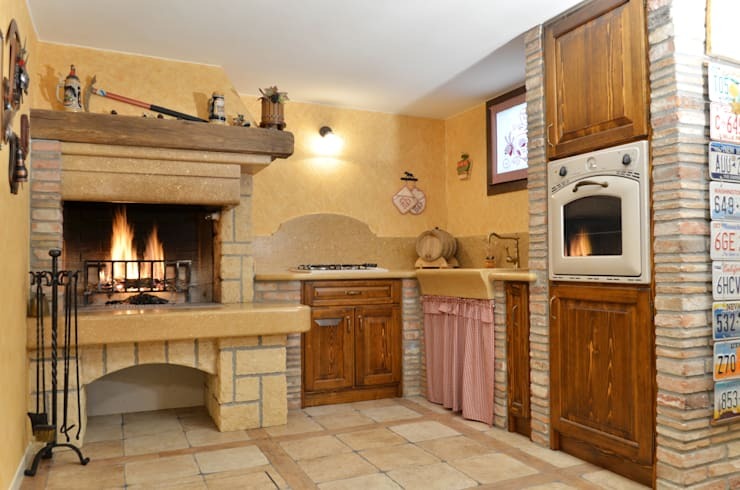 A rustic kitchen would not be complete without a wood oven. This allows for indoor grilling and barbecue fun with family and friends, but it is necessary to contact a professional to add this stylish and dynamic gourmet cooking facility into your kitchen. Just think about how amazing country life would be after all! The old rules of interior design no longer apply when making your home a comfortable space for you and your family. 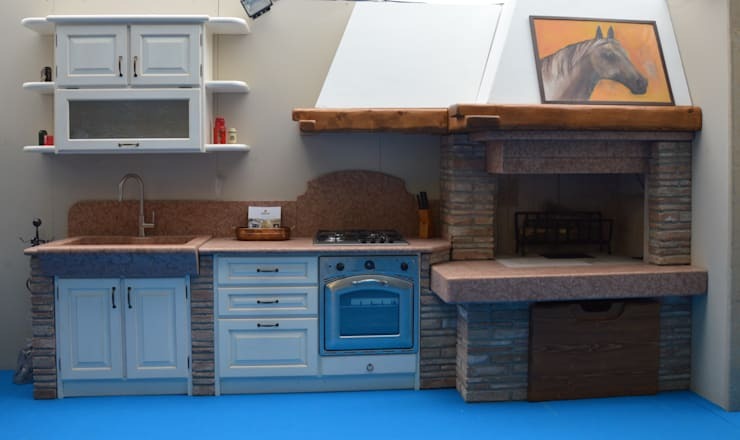 Each family dynamic is different so use ingenuity, unique and unusual ideas and simple design elements to create a rustic kitchen that suits your needs. 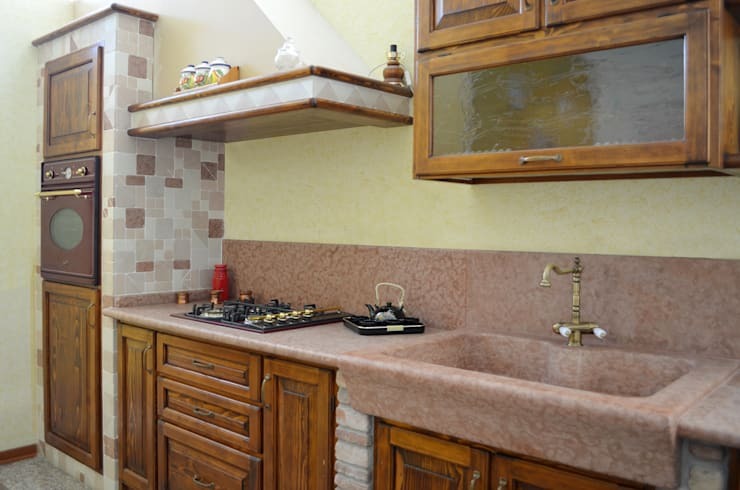 Here are: 7 LOW COST Tips for a Small Kitchen. Would you want a rustic kitchen for your modern home?